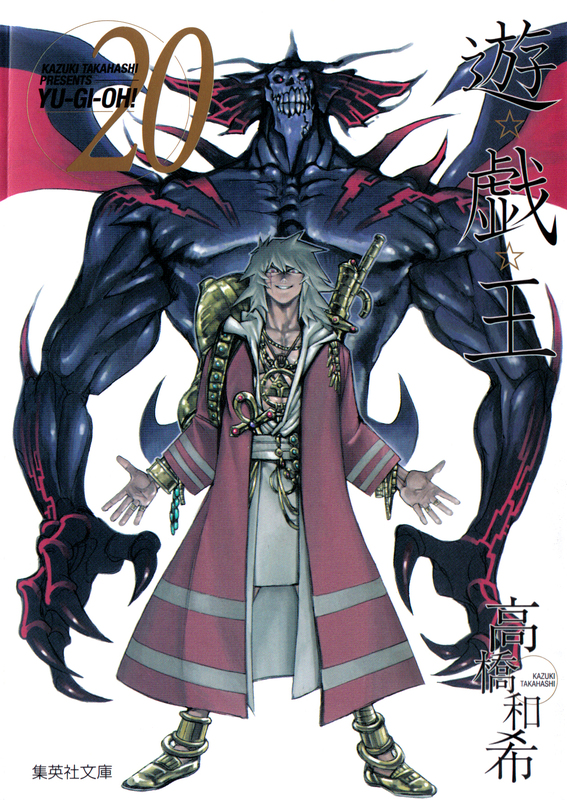 This is the cover of the twentieth bunkoban volume of manga. The bunkoban is a reprint of the entire series condensed into 22 volumes total; each volume included a brand-new cover design and a tarot card from one of the major arcana. The bunkoban also included some revised text and edited panels. I did NOT scan this myself. When I look at this pic I just can help but to play Lustmord's "Black Star"
Diabound is rather nice in here! And Yami Bakura is great!